I spent most of Saturday morning preparing myself sunbathing in the glorious North Wales sunshine! 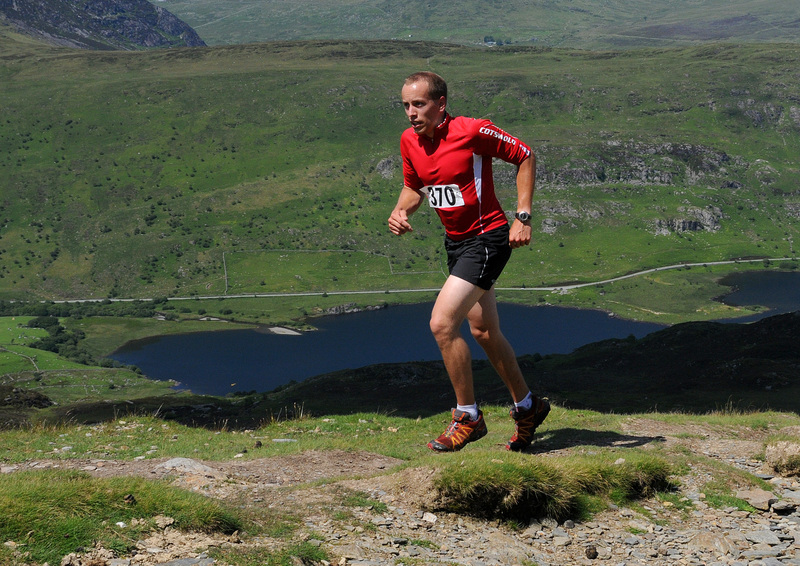 The infamous Moel Siabod Fell Race – ‘run’ alongside the Capel Curig Show (fête) was to start at 2pm that afternoon. I’d asked the Cotswold Outdoor Race Team if they’d like to sponsor me and let me wear the Race Team bib for the race, which they kindly did. Thus, equipped with a long-sleeved (!) branded top, I set out to the start to meet Fred, Mark, Becki & Jenny amongst 120 runners readying for the race. GO! 120 runners left Jim’s Bridge in Capel Curig. Steady start? Keep up with the front runners, overtake later? I paced myself around 15th place for the forest track start before breaking out onto the open fell – now for the serious ascent! Ascending was painless enough given the ridiculously hot weather – mindful of needing to leave enough reserve for a 700m (vertical) sprint back downhill. I overtook a couple of guys – bonus! Doing well, near the top the elite podium racers were already hurtling back towards us, but with the trig point in sight (872m) motivation was increased! The prize for 1st Local - how apt! 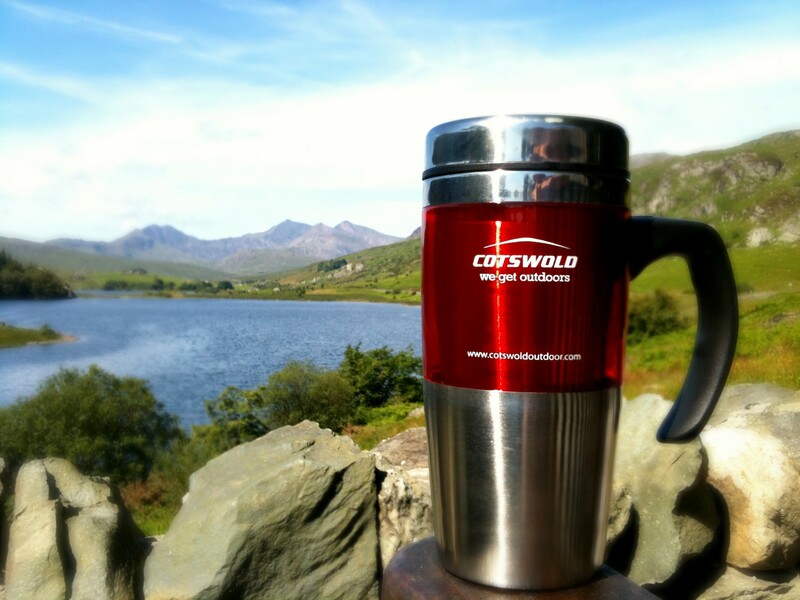 Thanks to the Cotswold Race Team and the Royal Oak Store for their support!